A scientific explanation for the Reverend Law’s observation is that sun dogs were the cause of the ‘two suns’. Law even uses a technical term, the paraelii, to indicate that fact. 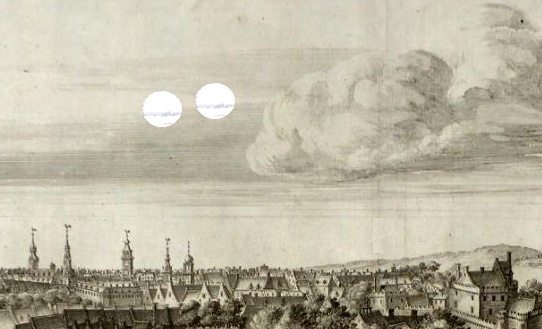 For other spectacular wonders viewed in Scotland of the 1680s, see here. ~ by drmarkjardine on August 14, 2011.